Sean McCarty of Brown Deer Golf Club qualified for the 100th PGA Championship on Wednesday after finishing T2 at the 51st PGA Professional Championship. The 2018 PGA Championship takes place August 9-12 at the Bellerive Country Club. Click here for full release. The Boys Scouts Pro-Am takes place Monday, June 25 at the Davenport Country Club. This event will be an 18-hole, individual stableford with Open, Senior and Super Senior Divisions. Each team will be made up of one Iowa PGA Professional and three amateurs. Click here for more information. The 43rd Iowa Girls Junior PGA Championship takes place June 24-25 at The Meadows Golf Club. 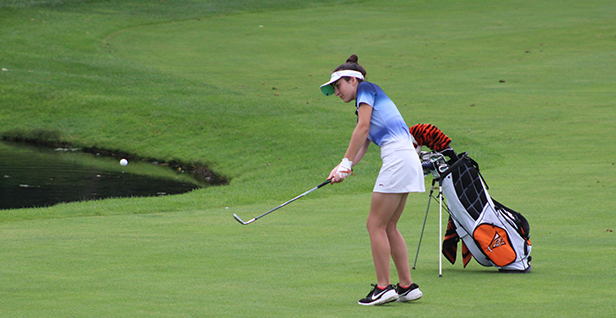 Two girls from the 16-18 age division will qualify for the 43rd Girls Junior PGA Championship in July. Click here for more information. The 43rd Iowa Girls Pee Wee Championship will be held in conjunction with the junior event. The 43rd Iowa Girls Pee Wee Championship is on Sunday, June 24 at The Meadows Golf Club. Click here for more information. There are three 43rd Iowa Boys Junior PGA Championship Qualifiers coming up. The Mason City and Copper Creek qualifiers take place on Monday, June 25. The Glynns Creek qualifier is the next day (Tuesday, June 26). Click the corresponding site below for more information. Mason City Qualifier /Copper Creek Qualifier/ Glynns Creek Qualifier. The Iowa PGA will be running the pre-qualifiers and open qualifier for the John Deere Classic. The pre-qualifiers will be held on July 5-6. The July 5 pre-qualifier will be held at the Pinnacle Country Club in Milan, IL. Click here for more information. The July 6 pre-qualifier is at the Short Hills Country Club. Click here for more information. The John Deere Classic Open Qualifier will be at the Pinnacle Country Club in Milan, IL. 2017 Iowa PGA Professional Champion, Chad Proehl earned an exemption into the John Deere Classic, and second and third place finishers, Jeff Schmid and Darin Fisher both got exemptions into the open qualifier. Click here for more information. Registration for the Iowa PGA Professional and Senior Championship are now open. Registration is also open for the Iowa PGA Assistant Professional Championship. Please visit www.pgatournaments.com to register for these events. The 85th Iowa Open takes place August 1-3 at Blue Top Ridge in Riverside, IA. Click here for eligibility guidelines and to register. The Quad Cities Junior and Pee Wee at Emeis takes place on June 27. Registration for this event closes tomorrow. Click here for more information. The Cedar Valley Junior and Pee Championship is on June 28-29. This is a Major event on the Iowa PGA Junior Tour Schedule. The registration deadline for this event is Sunday, June 24. Click here to register. The Woodland Hills Junior is on Thursday, June 28. There is still time to register for this event. Registration closes Sunday, June 24. Click here to register. The second Iowa PGA local Drive Chip and Putt qualifier takes place on Friday, June 29 at Pheasant Ridge Golf Course. Sunday, June 24 is the last day to register for this event. Registration will close at 5:00 p.m. on Sunday. Click here to register.